Yesterday I recalled to mind Voltairine de Cleyre who refused to cooperate in the prosecution of a former language student of hers, Herman Helcher. She said she considered him mentally ill so that he did not know what he was doing. She went further than that and solicited people to come to his aid. Many in the community in which de Cleyre had become a leading figure rallied to her call. It is said here two lawyers were hired to defend her assailant and others pitched in to trying to give him some mental health care. Helcher, who was born in Latvia was sentenced to six years and nine months in prison. After his release it is noted here that he was in and out of mental hospitals. After de Cleyre’s release from the hospital there was a party on January 11, 1903, at the house where she lived on Fairmont Avenue, Philadelphia. Among those attending were prominent lawyer Clarence Darrow and muckraking journalist Henry Demarest Llyod. I suggest it was not so much her belief that Helcher was mentally ill that made de Cleyre not participate in is prosecution; it was that she had turned against the American justice system and refused to partake in its offerings. Ominous signs of others feeling this way are present in today’s America. Why then should we be interested in de Cleyre or in other anarchists such as Emma Goldman who admired de Cleyre even though the women idea of the goals of anarchy differed substantially. It is because both women were drawn to the anarchist movement by a specific event: in their case it was the Haymarket Affair of May 4, 1886, and the subsequent execution of the anarchists involved in it. Those anarchists and many like them turned on the American system of justice because of those executions. Prior to that time they were disposed toward that philosophy but afterward they became full advocates of it. If justice could not be found in America where would it be found other than in the renunciation of all type of governments. I suggest another such event has happened that will bring anarchism out into the forefront in America. We can soon expect this time to see the fire in our streets as a result of this. That event is the election of Donald Trump to the presidency. How widespread and how wide the turmoil will be is hard to determine. As the country moves further to the right as it will with Trump and the people he surrounds himself with in charge the only alternative to many on the far left will be anarchism. Anarchism never gained a foothold in America. de Cleyre live among many Jewish refugees from the old Russian empire in Philadelphia who were mired in poverty. America was alien to them and they saw little difference here than they saw in the country from which they fled. But their children seized upon the hope and opportunities offered here and moved away from that philosophy and the movement slowly died in strength. Today there is a different America. What is missing now is the hope. Trump, as his slogan indicated, is looking to the past. Hope looks forward. What do those to whom the past has been troublesome and the present similar feel when they are told that they are going back to a place that to them is abhorrent? How do they protest that happening? I suggest we will soon be hearing more about new generations of de Cleyres. The youth will not accept the Trump trifles while watching the rich grow richer and stronger. We are in for exciting and dangerous times that will mirror the late 1960s if not far exceed them. Why can’t we discuss Marx’s supposed anti-semeticism? You raised an excellent point, but, failed to develop it. Give me the Bookchin e-cite, again. Remember, all I know of you is the things you say. When first we talked, a couple years ago, you sent me to an anti-semetic e-rag coming out of Britain (Spot Light?). What was I to think? I’m delighted to learn you are not a crotchety old reactionary. In “On the Jewish Question,” Marx reviews an article by Bruno Bauer. Those who want to impute anti-semiticism to Marx, generally, fail to distinguish between Marx’s ideas, and, those he is criticizing in Bauer’s essay. We can go paragraph by paragraph, if you like. Have you, personally, read “On the Jewish Question,” or, are you simply citing secondary analyses that seem to agree with your prejudices? Strangely enough, many of the points Marx raised about Jews are applicable to the Muslim minority in this country. You all cool with that? I see you know all the kooky racists on the web. You must be quite cool with that. Go up to my Murray Bookchin link and read some of the other items, if you can spare time from following the writings of this Dr Duke. Politics can get curiouser and curiouser. Preparing for 2020? Trump may embrace Kemp’s old idea of Enterprise Zones to help depressed areas. Kemp had the inner city in mind but Trump may have the rust belt. Could the new POTUS enact a 20% corporate tax for the country and a 10% tax for the Enterprise Zones? Why not make all red states Enterprise Zones? 2. The best pick for U S Attorney in Boston would be Chris Bulger. 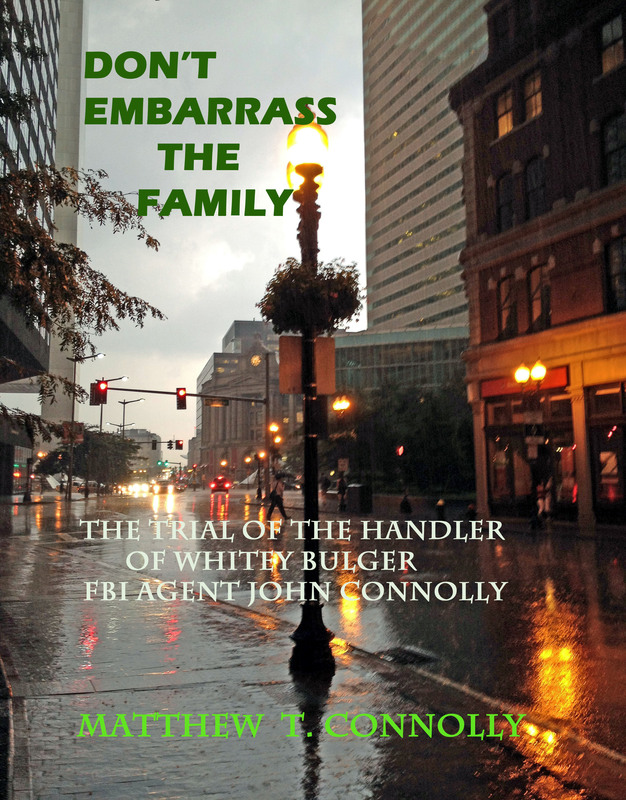 The Globe and the local DOJ spent a couple of decades harassing his family and partnering with the Mafia. If Trump has a sense of humor that appointment would do more to unnerve his enemies than any other. 3. Is Probation Chief O’Brien smiling at the election results? What are the chances the First Circuit upholds his conviction? Would they open the door to the prosecution of all Federal judges for not hiring the most qualified law clerks? Time will tell. I am unimpressed at the totality of what the Soviet Union accomplished and recoil in horror at how it was accomplished. I reject any suggestion (or demand, because there are no suggestions here, only demands) that we do the same. Matt foresees an Age of Anarchy and Khalid another Proletarian Red Revolution. The Dems, including Sanders and Warren, want uber-liberal Keith Ellison, former Louis Farrakhan pal and Nation of Islam supporter, as DNC chief. Radicalism on the rise? or just on the fringe? The Revolution has four demands: for every person, a roof, a doctor, an education, and a job. The greedy are free to kill each other over what ever is left. They have no need for food? I suppose you could substitute “food” for “job.” Job seems more dignified than food. Remember, one has to sell this idea just like a 5th Ave Ad-campaign. Everything has to be boiled down to broad slogans easily understood by the widest cross-section of the Proletariat. Khalid has perhaps forgotten that Marx defined the proletariat as workers owning nothing but their labour, hardly the world today given the level of ownership almost everywhere but under Kim Jong-un. That’s all they will have when the State takes ownership of their houses and whatever else the State decides it wants to own and control. How soon before people begin to want that pretty roof, not the older one, the specialist doctor, not the woman from the bottom of the class, MIT and not Boston State, and certainly a better job than picking up litter for the road authority. Marx was referring to what the worker brings into the market place for exchange. Not possessing the means of production, the worker brings only his labor to exchange. Get a copy of Das Kapital. Don’t depend on opinions of his ideas cooked-up by Professor Duke, and, other right-wing savants. Use your own eyes. Get those rusty gears a spinning. I read Marx when I was a kid back in the 50s Then I grew up. i saw what an arrogant hater he was. Hated Jews, but not the ones who supported himself and his family. He never had a job, never got his hands dirty. I don’t know any Professor Duke. I just finished re-reading “On the Jewish Question.” Where in Marx’s work do you see “Jew hating, anti-semiticism, etc. ?” Cite specifics. In my experience, anti-semeticism is primarily espoused by conservative Catholics. Father Coughlin is a good example. Father Pat Mahoney, although a radical socialist, was also known to be harsh in his opinion of Jews. He, and, I, often disagreed about the subject. I think his experiences in dealing with NY landlords soured him, a bit. I don’t think he despised all Jews, just, the mocky rich American ones. How about you? David Duke is the anti-semite KKK/Neo Nazi hate-monger who masquerades as an intellectual on the INTERNET. Remember, now? Anarchists are philosophically against the political organizing of resistance that revolution requires. Lenin criticized Anarchism’s inherent lack of political structures. He believed a cohesive militant apparatus was necessary to defeat the bourgeoisie, and, seize the means of production. In 1917 the Russian Monarchy was overthrown by only five thousand Bolsheviks. A vanguard composed of professional revolutionists will be necessary for the rejection of Glorious Leader, and, his Brown-shirts. Fortunately for the revolution, US prison systems have been turning out grunts for tomorrow’s new Red Army at a brisk pace. Trotsky is out there, we just haven’t discovered him/her, yet. Maybe, his spirit will reappear in the body, and, mind, of an African-American woman. Wouldn’t that be something? All power to the dialectic! Marx placed spies in the meetings of the anarchists. One noted that they could not agree on anything. Of course being true anarchists meant you could not agree with others for that may make one subservient. The anarchists broke away from Marx and Lenin for the precise reason they knew their communism was just another type of system where a few controlled the many; it was they believed as evil as any type of present society under the kings and queens. True what is lacking is a leader. That is why J. Edgar had enormous fear of Martin Luther King because he saw in him the leader of an American revolution. You call him Glorious Leader, I call him LOT (Leader of the Trumpeteers). One thing for certain is that LOT will be on the lookout for any such leader and will quickly put him out of action. So although there may be a start of a revolutionary movement it will be squelched without delay. “LOT” I like it. It has a biblical air. About a decade ago, I attended an Anarchist sponsored teach-in for street demos, and, civil disobedience. The “Anarchists” leading the shin-dig were all older CP/Weather Faction/VVAW comrades. None of them were actually anarchists. Anarchism is an attractive idea to the youth. It functions as a romantic lure, bringing kids leftward in their thoughts, and, actions. This is good strategy that’s had ten years to develop committed militant cadres. The next OWS uprising will be very interesting. All the anti-Trump demos are just the warm-up (practice mobilizations), class warfare will be the main event. What if people just started stoning luxury cars at stop lights? What if the wealthy required armies of patrolling mercenaries just to feel safe in their gated-communities. What if the Reds come to seek them in their beds, anyway? I watched Solyent Green on the tube last night. All power to the dialectic! Bolsheviks did not bring down the Czar they overthrew a government of Social Democrats. The Little Father’s regime had been toppled months before. Get your facts right. The Bolsheviks, and, other Socialist parties, temporarily, allied to the bourgeois political parties, fought in the February Revolution against the Tsarist state. Following the first revolution, Russia entered into a fitful period of dual rule. The government was split between the Soviets, and, the bourgeois political parties. In October, the Soviets successfully rebelled against the bourgeois parties and tossed them out of power. The Bolsheviks/Socialists participated in both the February, and, the October Revolts. It tells you much about the beliefs of Romney. He was easily bought off if that is the case.